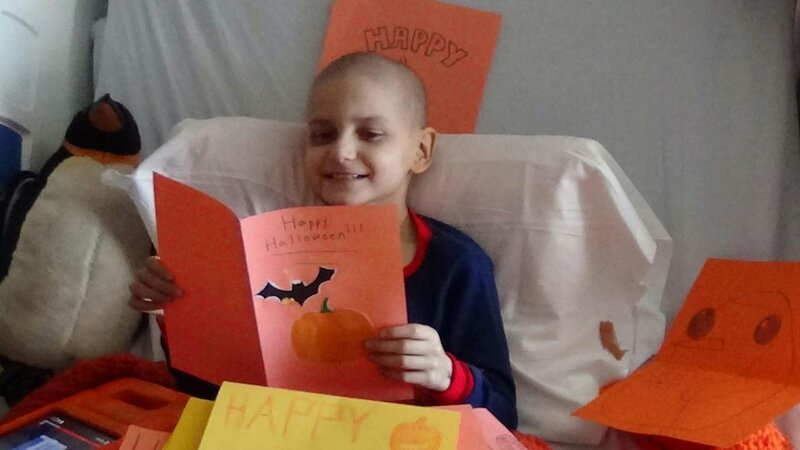 A nine-year-old Maine boy battling cancer who received Christmas cards from around the world died Sunday, his family said. Jacob Thompson had been battling neuroblastoma for four years. Last October, doctors told his family he only had a month to live, so he asked for people to send him Christmas cards so that he could celebrate early. People from all over the world responded, and now his family is thanking everyone for their kindness. "We hope that Jacob's story and the enormous outpouring of support from around the world will have a lasting impact on raising awareness for this disease. We hope that donations will be made, and a cure will be discovered as a result," his family said in a Facebook post. Each and every person who sent Jacob a Christmas card, a gift, a Facebook message or video, or a prayer made a difference in the final days of his life. You brought Jacob joy, and you brought us all optimism for the future. Thank you for taking the time, and taking an interest in our sweet boy's journey. Sadly, there are many others like him that we hope you will continue to help." Jacob's favorite animals were penguins and his family said donations in his honor can be made to Operation Gratitude, a penguin rescue group. His family also asks people to, "Do something for others, donate blood and platelets, or use your talents to bring shelter, nourishment or joy to those in need in honor of Jacob's memory."